Hark! Did Ye Ever Hear Such Sweet Singing? In recent seasons VOCES8 has performed at venues such as the Wigmore Hall, Royal Festival Hall, Royal Albert Hall, Bridgewater Hall Manchester, Cité de la Musique Paris, Vienna Konzerthaus, Tokyo Opera City, National Concert Hall Taipei, National Centre for the Performing Arts Beijing, the Shanghai Concert Hall, Tel Aviv Opera House and Mariinsky Theatre Concert Hall. 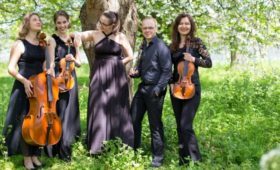 Artistic collaborations have included the Philharmonia Orchestra, London Philharmonic Orchestra, Royal Philharmonic Orchestra, period ensembles Florilegium, L’Arpeggiata and Les Inventions, violinist Hugo Ticciati, cellist Matthew Sharp, and pianist/composers Jonathan Dove and Ola Gjeilo. VOCES8 has premiered commissions from Roxanna Panufnik, Alexander Levine, Alec Roth, Ben Parry, Ola Gjeilo, Philip Stopford and Thomas Hewitt Jones. The group also performs bespoke arrangements written by Arranger in Residence, Jim Clements. Highlights of the 2016/17 season include European performances at the Mito Festival Italy, Thüringer Bachwochen Germany, at the Paris Philharmonie and Brussels Bozar. VOCES8 will also sing with L’Arpeggiata and Christina Pluhar in performances of Monteverdi’s Orfeo. It will tour the USA twice, with concerts and residencies, and look forward to performing for the first time in Boston. The group’s major Christmas tour will be to China and Japan (including performances in Oji Hall and Tokyo Opera City). 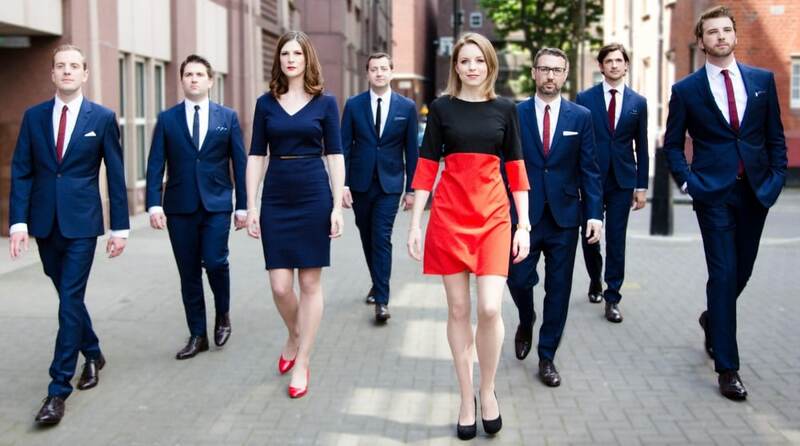 VOCES8 maintains its popularity with UK audiences and will be appearing in London at Kings Place with Hugo Ticciati and Kian Soltani, at Saint John’s Smith Square and at its home, the Gresham Centre. With an on-going programme of recordings and live broadcasts, VOCES8 is heard regularly on international television and radio, including MPR, the BBC and ClassicFM. 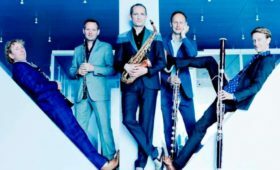 VOCES8 is a Decca Classics Artist and with whom two albums, “Eventide” and “Lux”, have been at the top of the Classical Charts on their release. In 2016 Decca Classics release of the music of Ola Gjeilo, which featured for many weeks in the USA Billboard charts, included performances from the group. Their next Decca Classics release is scheduled for the autumn of 2016. VOCES8 is an Ambassador for Edition Peters with whom it publishes arrangements and educational material, including the “VOCES8 Songbook” and the “VOCES8 Method”. As the flagship ensemble of the charitable music foundation Voces Cantabiles Music (VCM), VOCES8 has an enviable reputation for its education work. 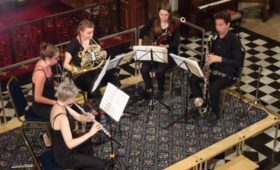 The ensemble leads an innovative series of music education workshops reaching 20,000 people annually around the world with the aim of inspiring creativity and excellence through music. The innovative education work of VCM has received praise from UNESCO and since 2005 has raised £1 million towards music education in the UK. In 2013 VCM established the Gresham Centre, a vocal Centre for Excellence at Sir Christopher Wren’s beautiful St Anne & St Agnes Church in the City of London, in partnership with the Diocese of London. This season VOCES8 continues as resident ensemble at Bedford School, Ardingly College, Bradfield College and The Grey Coat Hospital. It also leads the Milton Abbey Summer School. VOCES8 receives support from Arts Council England, the Merchant Taylors’ Company, the Worshipful Company of Plaisterers and Holman Fenwick Willan. The group is also grateful for the support of its official sponsor, T.M.Lewin.